Owner Jordan Cleavland captures the magic of the season. The holiday season is brimming with delicacies, especially in the dessert category. Pies, cookies, candies, chocolates and sugar plums dance in our heads as well as our bellies. After studying culinary arts at SUNY Adirondack, Cleavland was the head baker for Bettie’s Cakes in Saratoga Springs. While there, she made special desserts for the Dave Matthews Band when it performed at SPAC. Now she bakes from a commercial kitchen in Queensbury. 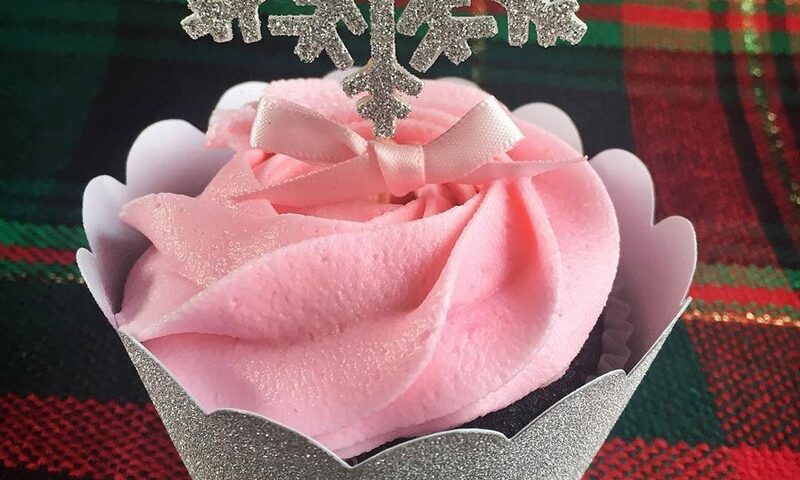 During the holiday season, Cleavland packages her cupcakes “in a pink box… with a bow on top and a handwritten thank you note” — a tasty gift to bring to a party or dinner. She also offers gift cards, a handy present or stocking stuffer.